MOSCOW (Sputnik) - The number of Afghan refugees who have arrived in Turkey in the first quarter of 2018 has reached 27,000, the Haberturk newspaper reported Wednesday. 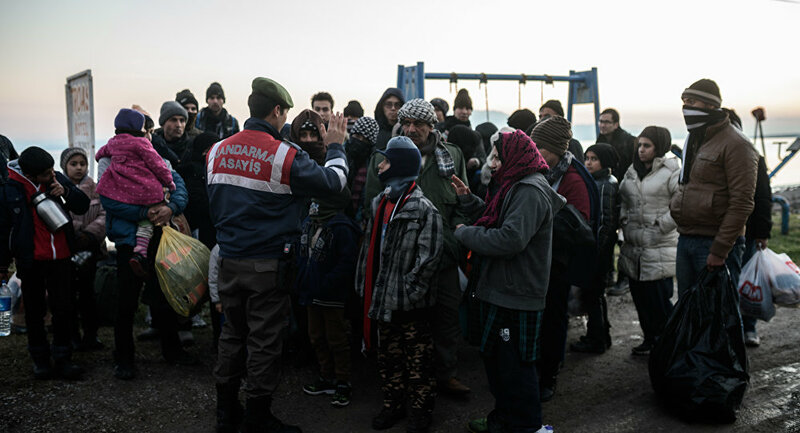 This figure represents a 400-percent increase in migrant arrivals compared to the same period in 2017, the Haberturk newspaper reported, adding that the issue was raised during a meeting of the cabinet. According to the information provided at the meeting, the asylum seekers view Turkey not only as a transit country on their way to the European Union but as a target country as well. The authorities believe such influx of migrants was caused by the civil war in Syria and instability in Iraq along with the ongoing turmoil in Afghanistan itself. The topic is expected to be discussed during the visit of Turkish Prime Minister Binali Yildirim to Afghanistan this weekend, the newspaper added. Afghanistan has long suffered from political, social and security-related instability because of simmering insurgencies, including by the Taliban and Daesh*. *Taliban, Daesh (ISIL/ISIS/Islamic State), a terrorist group banned in Russia.